When Boy About Town was first published by Windmill Books/Random House, in lurid pink cover, in the summer of 2013, I was thrilled, and somewhat surprised, to receive all manner of correspondence from readers. Many had been through similar experiences and wished to share them with me, and possibly with the wider world, while some simply wanted to offer their comments, on either a specific incident/anecdote or the book as a whole. While I have a Facebook author page, a Twitter account, a web site and am easy to find via e-mail, these scattered homes prevented such conversations from ever really taking off, and it occurred to me that it would have been wonderful to host a Boy About Town community page, one that could allow readers to discuss the era in their own voices. 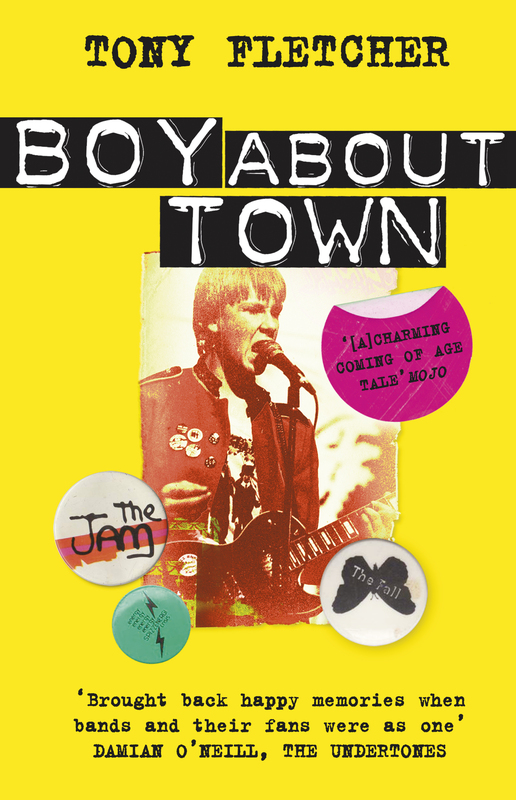 The paperback publication, as it’s called, published in equally lurid yellow jacket by Windmill Books on August 14, 2014, provides that opportunity, and in launching a Boy About Town site, we (that being Brit expat web designer John Tully, whose services I highly recommend, and myself) have fashioned a Community page, using the BuddyPress platform that allows you to maintain a profile from which you can post, add photos and videos, and comment on other posts. I am hoping you will take advantage of it and that this will become a home-away-from-home for a widely dispersed group of people. Rules are simple, and primarily about etiquette. No blatant commerce, no stalking, no aggression of the type we used to find on the football terraces! You get only one warning. To sign up, click on the Register button on top left of your browser. Your profile requires you to name your first record and concert, which will be public information for the voyeuristic pleasure of everyone else, so choose the truth carefully! It would be wonderful if you would choose an image for an avatar if only to keep the page visually entertaining. Registration does not require e-mail confirmation, and you should be able to log in via the top left of the screen when you revisit the site – or just have your browser set to do so automatically. Beyond that, have fun! I plan to post frequently, but I hope not to be the only one who does so. Welcome.